This place is like the Inside Out/Frites of Bangkok. They serve some Belgian food but its mixed with other fusion types, along with a decent selection of Belgian beers. What I was super impressed with though, was the availability of Trappistes Rochefort 10 (so far still the BEST beer in the world, IMO) at a somewhat reasonable price. A bottle was still 290 baht ($79), but this is still better than the $110 that I saw at Frites. I did think that their Chimay Blue though was overpriced considering I could get it in Hong Kong for $30. 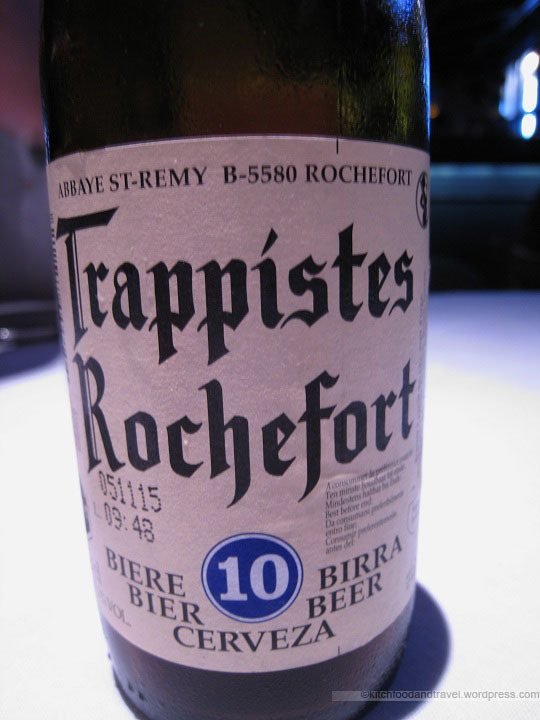 Trappistes Rochefort 10 - The BEST!! 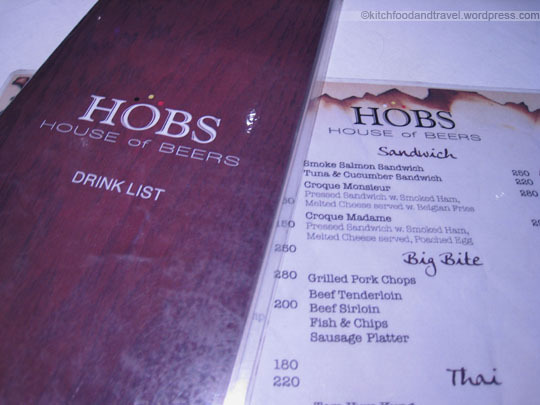 HOBS is located in what appears to be a very cozy complex although its Ari branch seems it might be a bit far from the BTS. 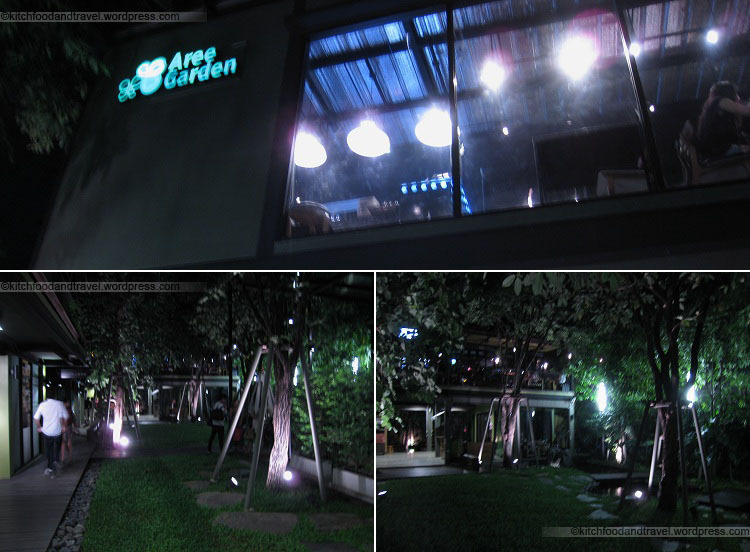 The complex though is nicely decorated with an open air, relaxing garden environment. There is also an indoor section for those that wish for air-conditioning. 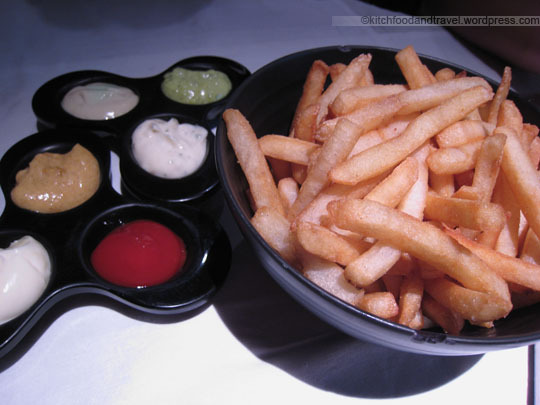 The fries are supposed to be ‘Belgian’ fries, but were well, just fries to me. They tasted pretty good, and it came with 6 different dipping sauces. They include pesto, wasabi, garlic mayo, curry, ketchup (I think) and mayo (I think). I thought that the best two were the wasabi and the garlic mayo sauces. They are worth trying as a snack with your beers! I love breakfast for dinner and Matchbox has a Special Set and a Normal Set that is interesting. The Special Set consisted of the “Floating Platform Chicken Pie” (雞批浮台), Banana Pancake and Coffee/Tea. 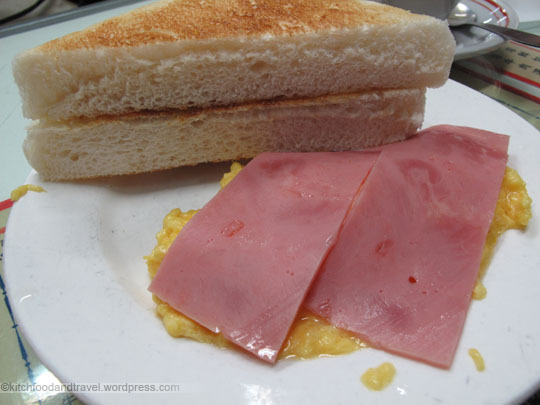 The Normal Set consisted of Buttered Toast, Scrambled Eggs & Ham, Roast Pork Macaroni and Coffee/Tea. 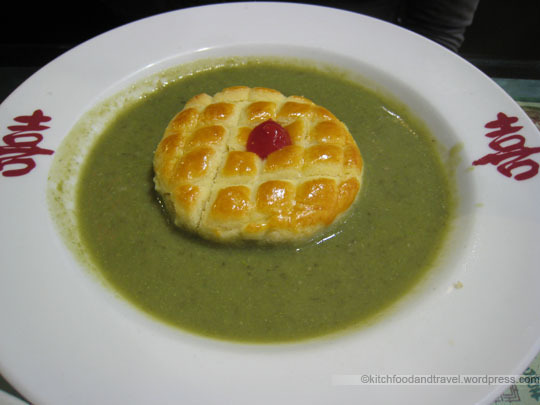 “Floating Platform Chicken Pie” (雞批浮台) – If you haven’t noticed, I’ve been going on about pea soup recently. Pea soup at Amber, Caprice and FINDS. Now for pea soup at a bing sut. Like I’ve said before, I hate peas but I have been relatively impressed with the pea soups I’ve tried so far. The pea soup that surrounds this chicken pie though, is super pea tasting and not to my liking… almost like mashed peas. BUT I have to say that when you mix the chicken pie with the pea soup together, it becomes something totally different and amazing. Add some ketchup with the pie and WOW! This mixture had to be an accident in the making. I cannot imagine anyone mixing these foods together saying that it would taste good, yet when it is actually done, it is simple and great! I will definitely be back for more of this! 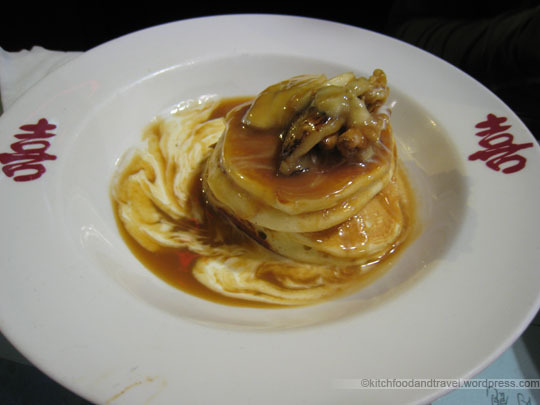 Banana Pancake – Simply just pancakes, banana and walnut. This was much better the second time around that I tried it. The first time, there really was not enough sauce. The pancakes are average while the sweet sweet bananas were great, but I did not think that the walnuts were necessary. The sauce though, went well with everything. 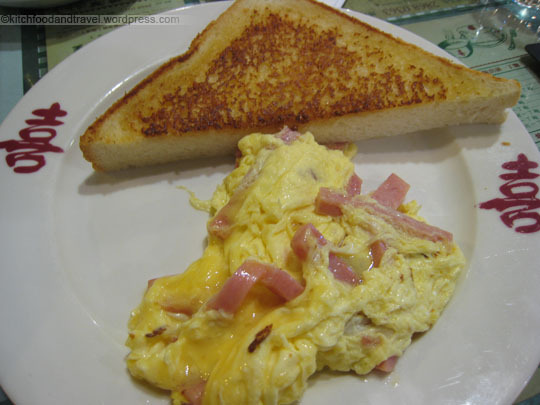 Scrambled Eggs & Ham with Toast – The toast was tasty and the ham added the saltiness necessary to the scrambled eggs. The eggs were a little bit overcooked (not always, so a consistency issue) as I love them runny. Roast Pork Macaroni – Not much you can say about roast pork and macaroni, but the pork here was quite tender when compared with that at Capital Cafe, while the macaroni was average. Note that I do much prefer instant noodles over macaroni!! 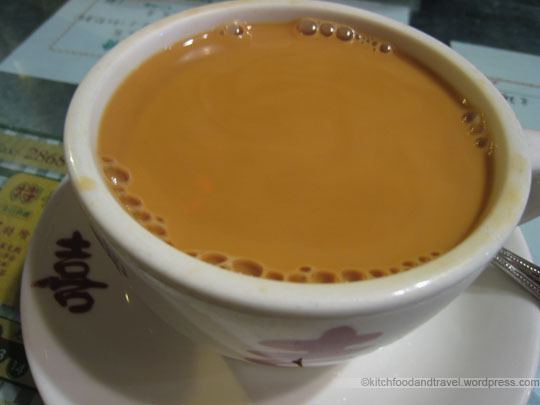 Hot Milk Tea – I don’t think I’m a good judge of milk tea as I prefer coffee, but in this case, it was pretty good. One Michelin Star? I struggle to understand. In fact, there are better Indian restaurants around such as Aladin Mess in Causeway Bay, which I still think is the best Indian restaurant in Hong Kong. I’m not saying that Hin Ho is a terrible restaurant, but there certainly could be improvements. 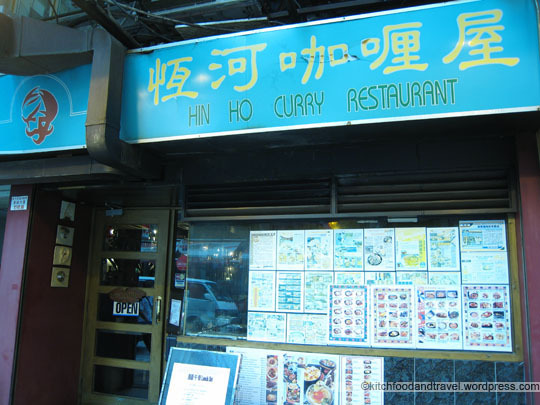 Hin Ho Curry is located a bit out of the way in Shau Kei Wan, and it was only because I finished hiking in that area, that I decided to pay them a visit and see what all the fuss was about. 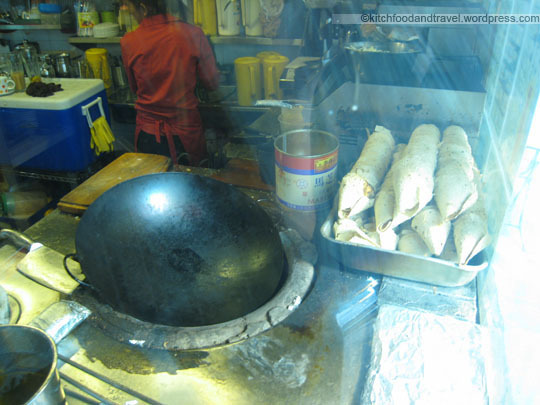 Stove to cook naan bread covered with a wok! 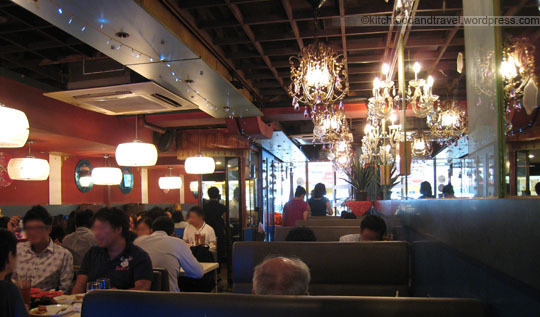 The restaurant itself was relatively small and could fit about 40 persons. While I’ve heard of lines outside, when we got there around 1:30pm, we could walk straight in and immediately get a table. The lunch sets are a great deal at $45 per set +/- depending on the drink you order. The set includes a daily soup, a main dish, naan bread or rice and a drink. There were lots of reviews reporting bad service, yet what we got was pretty good service overall. However, for some reason, I did get the feeling at times where I understood those bad service reports but they were not directed at us so I can’t really comment. Small restaurant seats about 40 people. A little bit cramped maybe. Despite my strong urge to try their beef tongue due to my love of beef tongue, in the end, we ordered the Tandoori Yellowtail Fish Tikka and the Baby Beef Flank Curry lunch sets. 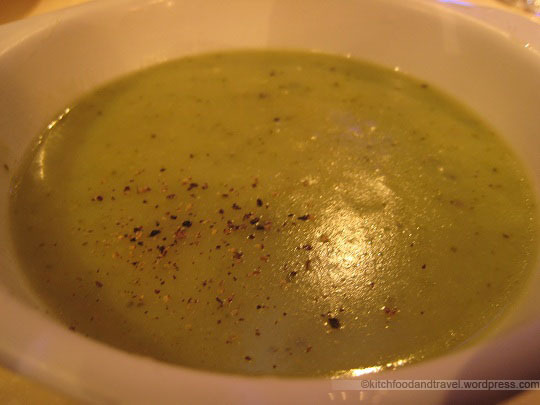 Pea Soup (I think) – The pea soup came pre-peppered which is not normal. BUT the amount of pepper that they put in was perfect! The soup was amazing and up there with the pea soups I’ve tried at Amber and Caprice. I think that says quite alot about the soup! 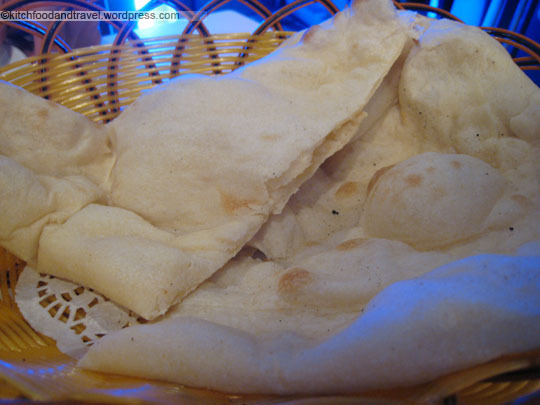 Naan Bread – Although the naan doesn’t appear to be ‘burnt’ enough, it was actually pretty good. It was both hot and crispy and was perfect to dip with the curries. 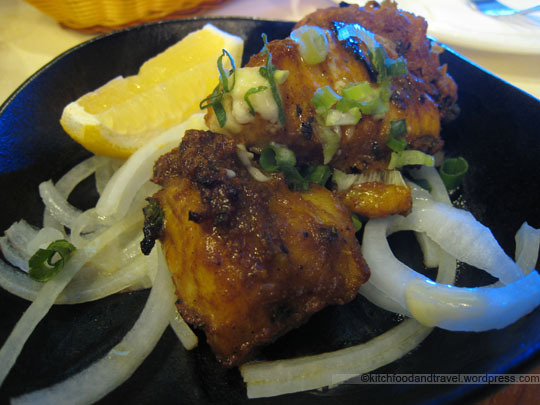 Tandoori Yellowtail Fish Tikka – I ordered this rather than the Beef Tongue Curry only because I wanted to compare with a dish I enjoy at Aladin Mess. The curry for the Tikka was really good, but the fish itself was a slight disappointment as I had high hopes because the one at Aladin Mess was excellent everytime. It was just not as soft or juicy as I had hoped for but still decent though. 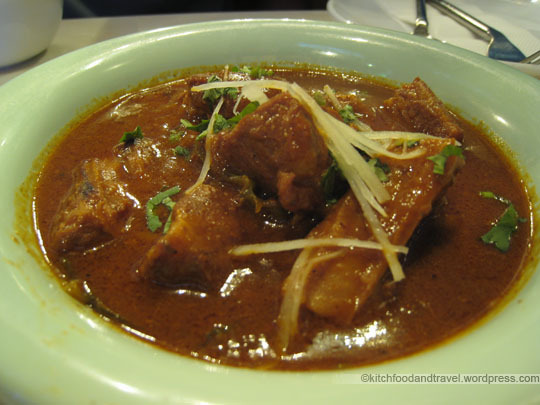 Baby Beef Flank Curry – Again, like the fish, the curry with the beef was excellent. The beef itself was not tender though and really tough to bite into at times. Pea Soup - excellent and tasty!! Having said all that though, it is a restaurant that I would go back to try its other dishes especially the Tandoori Beef Tongue. 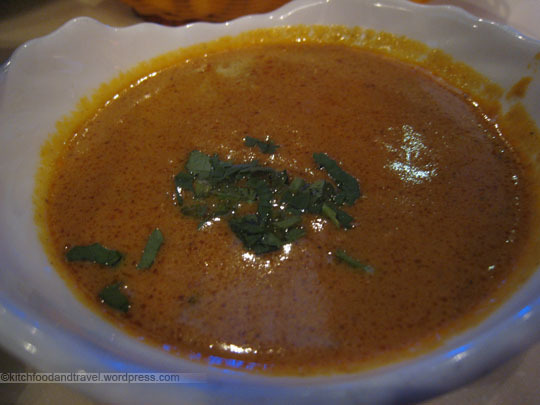 The soup was superb and although the meats were not the best, the curry that supported the dishes were extremely tasty. BUT Hin Ho Curry is NOT a one Michelin starred restaurant. It is definitely not on the same level as a restaurant like Hoi King Heen (海景軒) and its not even as good as other Indian restaurants in Hong Kong like Aladin Mess (review to come). Any curry dish for the curry sauce… I just think the meat that comes with it is a toss up. Breakfast for dinner! Yum! The ever reliable Normal Set (常餐) is available and upon asking the wait staff, they recommended the Corned Beef and Egg with Nissin Instant Noodles (鹹牛肉蛋餅出前一丁). Sounds great! You can choose any style of eggs you want and the macaroni can be changed to spaghetti with either char siu, beef or ham. In my opinion, the most important part of the normal set are the eggs. In places like bing suts, I like my eggs scrambled and here they make them nice and runny! 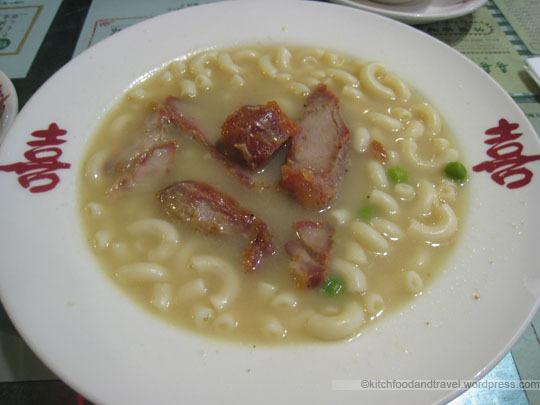 The toast is just standard and the macaroni perhaps a bit bland, but the char siu is nice and tender. The milk tea here though is great! It came out pretty much to be a corned beef omelet. Maybe I’m biased as I love corned beef and I love egg, so there is just no way that this could turn out bad. The instant noodles was also cooked ‘hard/raw’ which in my opinion is perfect. 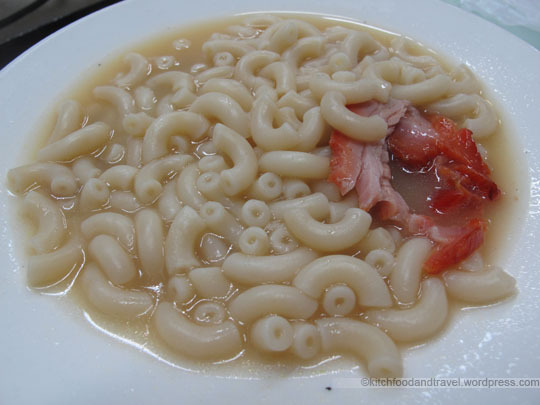 There are just too many places that overcook instant noodles such that they become soft and soggy which is just wrong. I will absolutely continue to love breakfast for dinner and they have great eggs and instant noodles here. 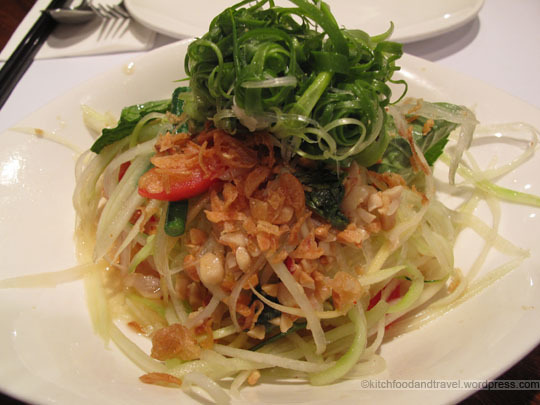 While I like Thai food and Vietnamese food, I’m not a big fan of restaurants serving different cuisines as I’m a firm believer that they should specialize. Having said that, Nahm does offer a very filling and reasonably priced set lunch which includes a salad and a main for under $100. 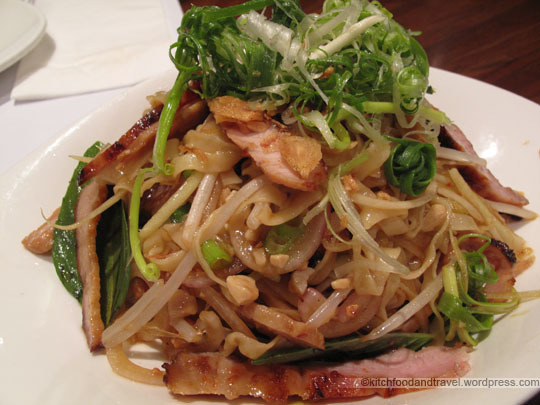 Admittedly though, there are better Thai and Vietnamese restaurants around. Enjoyed this cool and refreshing salad. The papaya and mango were fresh and went well with the herbs and acidity. When I first saw this, it looked pretty interesting for a salad and the portion was huge. 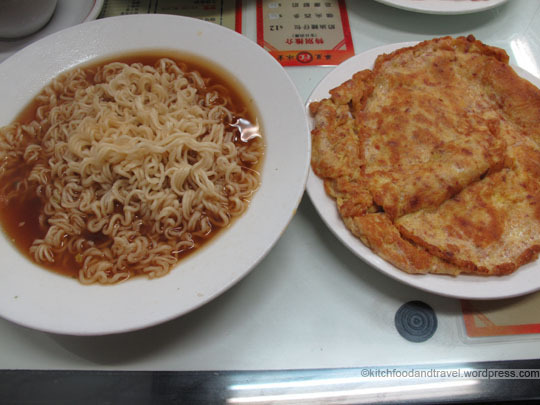 The porkneck was cooked pretty nicely, but the egg noodles and rest of the salad was only ok. If you didn’t know already, I love my fish and even more so with curry. Happily, this one did not disappoint either! The dish itself looks pretty plain (in fact, pretty sloppy too), but taste wise, the Sole was cooked nicely and remained juicy. 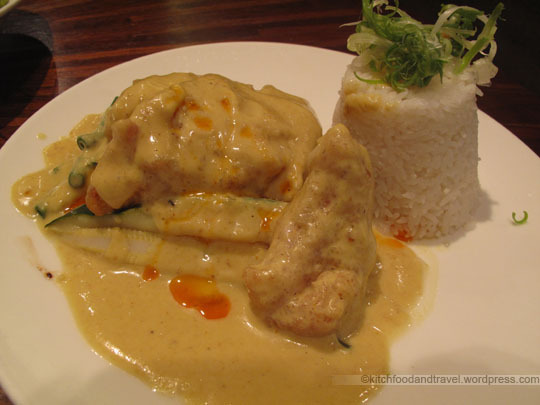 The curry and fish also complemented the rice well. First thing is that it has squid so clearly, I did not order this. I hate squid. 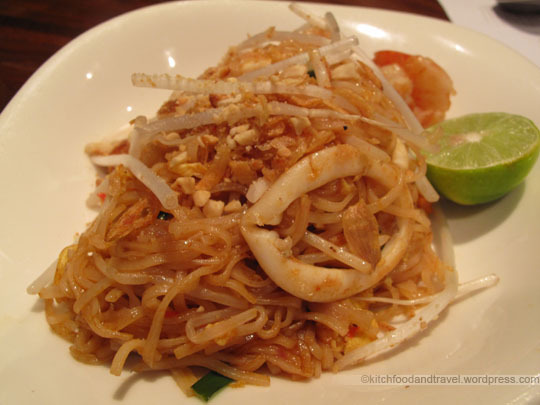 But I’m not being biased when I say that this was a below average Pad Thai. It was lacking in egg and also the peanut crunch, and just didn’t taste all that good. EVEN without the squid! Overall, the food is good for a lunch set, but I doubt I would eat here for dinner when there are other better Thai and Vietnamese options.